16 oz. 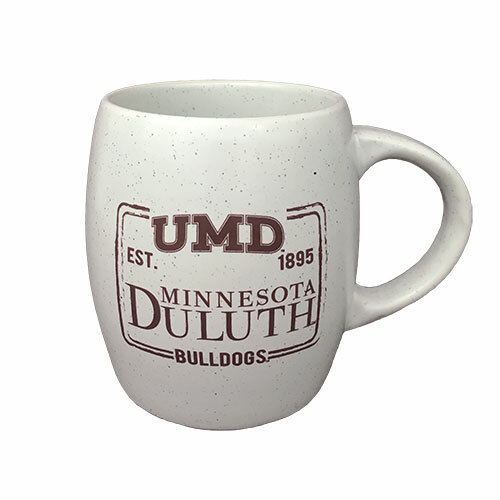 speckled stoneware mug with a smooth finish, featuring UMD graphics. Mug stands approximately 4.5" tall. Microwave safe. Recommended to hand wash only.